We provide our customers with quick and easy East El Paso installment loans & personal loans. At Power Finance Texas, we are here to help when you need a little bit of cash to get you through your next emergency. Our customer service representatives are super friendly and will help walk you through our easy application right in the office. 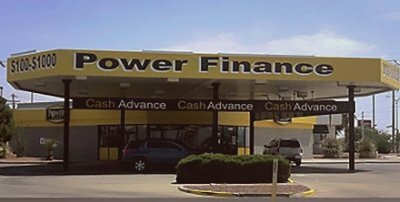 Our east El Paso location is at the corner of Montwood and George Dieter. East El Paso Installment Loans & Personal Loans When You Need it. Car troubles: No matter whether you’re in an accident or need new tires, auto expenses always seem to occur at the most inconvenient times. Quick cash loans can help you make it to your next paycheck. Medical emergency: Your family’s health doesn’t always wait for your paycheck. Overdue bills: When the bills stack up and the collectors keep calling, installment loans may offer a less-expensive option than late fees or overdraft charges. Household emergency: If your refrigerator or another household appliance goes out, you need money fast. Installment loans offer a quick solution to unpredictable problems. Holidays or Travel: Holidays, birthdays, and travel all come with expenses that aren’t always included in that month’s budget. Personal loans can help you get the cash you need now. Our application process is simple and fast, and we offer installment loans that range from $100 – $1,250 depending on your income. Stop by our El Paso East office and bring a checkbook, your Texas driver’s license/state ID, your most recent bank statement, and a check stub with year-to-date information, and we can help most customers get approved in minutes. You can stop by or call us at (915) 856-4444 during our office hours. We’re open 9 A.M. to 6 P.M. Monday through Friday and 9 A.M. to 1 P.M. on Saturdays.